"Walk to shops, restaurants and schools"
Walking distance to schools, shopping, restaurants and downtown. 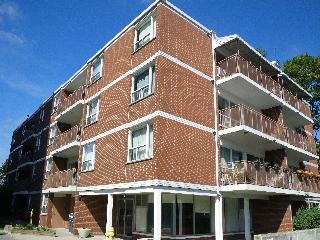 Located on lovely parkette overlooking downtown. Large suites with new windows and large balconies. Well kept clean building. 24/7 on site super.